Executive team - Signal Advance Inc.
Dr. Hymel, Ph.D., the President/Founder and a Director of Signal Advance, Inc is an experienced entrepreneur, engineering/scientific consultant and technical manager. He has authored a number of scientific and technical publications and holds multiple patents. He has over 25 years of experience in start-up and development stage private and public companies, including SEC securities registrations and reporting. Dr. Hymel previously founded a computer systems/networking consulting and technology development firm, and, subsequently, a medical-legal consulting firm which developed over 60 animations used in litigation. He also served on the board of a non-profit corporation for over 20 years. Dr. Hymel received his Doctorate from the Graduate School of Biomedical Sciences, University of Texas Health Science Center at Houston (UT Health) and Bachelor and Master’s degrees in electrical engineering from Texas A&M University. Dr. Hymel’s professional experience includes technology development at the Neurophysiology Research Center at UT Health which included proprietary neurostimulation, signal generation and data acquisition systems. Prior experience includes control systems engineering with Johnson Control, Inc, as well as Shell Oil and Development Companies. Dr. Hymel developed the proprietary Signal Advance technology and successfully demonstrated temporally advanced detection of a range of analog (including bioelectric) signals in his doctorate research. In 2011, the research results were summarized in a feature article published in the IEEE Circuits and Systems Magazine. 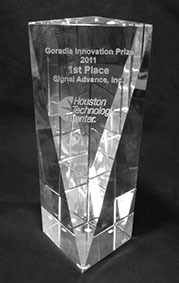 Under his leadership, Signal Advance, Inc. was awarded first place in the prestigious Goradia Innovation Prize competition. 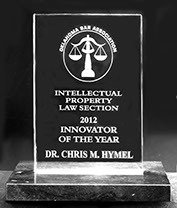 In 2012, the Intellectual Property Section of the Oklahoma Bar Association named Dr. Hymel the 2012 Innovator of the Year. 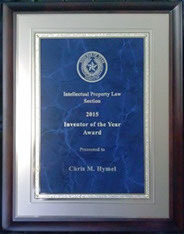 The State Bar of Texas Intellectual Property Section recognized Dr. Hymel as the 2015 Inventor of the Year. Mr. Stubbers has held engineering and production management positions in start-ups and early-stage companies; Experienced in product development, production, world-wide client fulfillment, quality control and regulatory requirements. Mr. Stubbers holds multiple patents. Mr. Stubbers holds an M.B.A. and bachelors degree in electrical engineering. Ron A, Stubbers, B.S., MBA (Vice-President, Director): Mr. Stubbers has been developing and manufacturing electronic biomedical devices for over 20 years, much of it while VP of Engineering and VP of Operations for Neuroscan, Inc. and its successor Compumedics, USA from 1991-2003, and aDEPtas, Inc. and its successor InGeneron, Inc. from 2004-Present. His experience includes development and production of medical devices ranging from neurostimulation systems to EEG acquisition and analysis systems. He has also worked in the areas of product design and manufacturing engineering, quality, regulatory and technical support for startup companies. Mr. Stubbers has managed corporate ISO/EN/QSR quality management systems requirements and compliance and European CE and FDA 510K Class II as well as other regulatory approvals for world-wide medical device distribution. 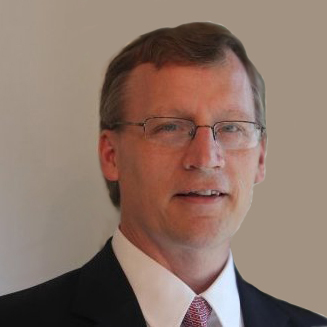 Mr. Stubbers received his bachelor’s degree in electrical engineering from the University of Idaho in 1985, completed graduate coursework at the University of Texas, Graduate School of Biomedical Sciences and at Rice University, and received an MBA at the University of Houston (2013). Theoretical physicist, former tenured professor and director of technology transfer at the University of Texas Health Science Center – Houston, served as president and CEO of a publicly traded biotech firm (10 yrs). Dr Skolnick is also a registered patent attorney, licensed to practice in Texas, and experienced biomedical researcher with related publications and patents. Dr. Skolnick received his Ph.D. in physics from Cornell University and J.D. from the University of Houston Law Center. He retired in 2008 after ten years as a Director, President/CEO of CytoGenix, Inc., a publicly traded, development stage biotechnology firm in Houston Texas. Prior to joining CytoGenix, Dr. Skolnick, a tenured professor, held academic positions in the Medical School, the Graduate School of Biomedical Sciences and the School of Public Health (SPH) of the University of Texas Health Science Center, Houston (UTHSC). In addition to his service as a Department Chair in the Medical School and professorial duties, Dr. Skolnick directed the UTHSC Office of Technology Management, overseeing the University’s activities in protecting and licensing its technology portfolio. He also headed the Neurophysiology Research Center and served as principal investigator of several clinical trials in pain management, smoking cessation and reduction of withdrawal symptoms in drug addiction. 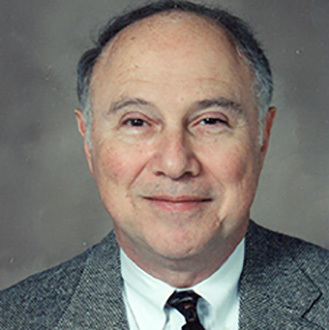 Dr. Skolnick also serves as Director and Vice President of the Southwest Health Technology Foundation, Resolution Forum, Inc., Responsible Community Design International, Inc., and Hudson Forest Homeowners’ Association. He has served as an expert witness in intellectual property, product liability, and accident reconstruction matters. Dr. Skolnick is a registered patent attorney, patented inventor and is licensed to practice law in the State of Texas. In addition to his service on various corporate boards, since his retirement from CytoGenix, Inc., he has been active in patent prosecution and licensing for selected clients and has been an invited lecturer at several local universities. Richard Seltzer is licensed to practice and is an approved mediator in the State of Texas, LL.M. in Taxation; Experienced in corporate and tax law, mergers and acquisitions and contract/license negotiations, business litigation, shareholder disputes. Mr. Seltzer lectures on general business law matters as an invited speaker. Mr. Seltzer received his J.D. from South Texas College of Law in 1981 and his LL.M. in Taxation from the University of Florida in 1982. Mr. Seltzer has been in private practice for more than thirty years representing both established and startup businesses in acquisitions and mergers, financial and tax issues, contractual matters, shareholder disputes, real estate acquisitions and general business litigation in Texas State Courts. His practice includes arranging viable capital infusions for ongoing businesses, negotiating business and real estate related contracts. He has handled the licensing of proprietary information for a non-profit organization in Texas. He also continues to successfully represent numerous taxpayer corporations and individuals before the Internal Revenue Service, including both its Appellate and Collection as representing taxpayers for matters filed with the U.S. Tax Court. For more than fifteen years Mr. Seltzer has been a frequent invited speaker covering general business topics at the People’s Law School in conjunction with the University of Houston Law School. He is also an approved mediator in the State of Texas having received his certification in 2008. Mr. Seltzer has continued to serve as a member of the Board of Directors of Bridges to Life, a nonprofit organization in Houston, since 2003. He was appointed in 2011 as a member of the Board of Directors of STARBASE, Inc., a federally funded educational program working in conjunction with the Department of Defense and the National Guard that works with upper elementary school students particularly interested in math, science, engineering and technology related programs. In addition, Mr. Seltzer serves on the Boards of Directors of the following Texas corporations: Atlas Management, Inc. (appointed in 2000), Innovative Tooling and Accessories, Inc. (appointed in 2007), Intuitec, Inc. (appointed in 2003), Milsob Properties, Inc. (appointed in 2008). He has also served on the Board of Directors of Delta Shaver Company, Inc., a Delaware corporation since 2011. Dr. Brandt is a former tenured associate professor of biomedical engineering. He was an employee of the UT health system (UTMB and UTHSC) for 26 years. During that period he performed landmark biomedical research in the broad areas of neuroscience, cardiology and immunology. He received his bachelors of physics from the Polytechnic University and M.S. and Ph.D. in biomedical engineering from the University of Houston. Dr. Brandt’s professional experience includes entrepreneuring, technical writing, teaching, research in human psychophysiology and biomedical signal/image processing. He was involved with nonlinear/chaotic biosystems studies of brain and heart electromagnetic signals (EEG, ECG) over the past 15 years and developed a method based on time-delay feedback control to regularize certain clinically aberrant cardiac events. He collaborated with a renowned clinical immunologist to develop a computational model of the human T-cell system and how certain viruses such as HIV impact it. Dr. Brandt has published over 100 peer-reviewed articles, conference proceedings papers and book chapters and made numerous presentations nationally and internationally. Mr. Bucek graduated from Texas A & M University in 1976. His entire career has been business related including 8 years of project management in the industrial sector. He is credited with the development of build process procedures for the construction of cryogenic vessels. Also included is the management of several shutdowns and turnarounds in the petrochemical industry in the Houston area from 1976 – 1982. Mr. Bucek also has over 25 years as a successful business entrepreneur experienced in IP, SBA, ad/branding, and regional manufacturing locations of Tele-Flow Inc. As a business entrepreneur, he started the HVAC manufacturing company with a partner, grew it to 298 employees with facilities in Pearland, TX, Ontario CA, and Jefferson, GA. before selling to Deflecto Corporation in Indianapolis IN. With the San Jacinto College District, under the UH-SBDC network, Mr. Bucek consults with respect to development and review of business plans, market research/analysis and licensing/consulting business models for revenue generation and funding sources. Mr. Joe is licensed to practice law in Texas and Oklahoma, is a registered patent attorney with the U.S. Patent and Trademark Office and the Canadian Intellectual Property Office, and is a board certified forensic examiner. He is also an adjunct faculty member teaching graduate law classes at the University of Phoenix. His four degrees include a bachelor’s degree from Baylor University, a master’s degree from the Southern Methodist University, a law (J.D.) degree from the Southern Methodist University School of Law and an advanced law (LL.M.) degree from Regent University School of Law. He is also a diplomate of the American Board of Forensic Examiners and the American Board of Law Enforcement Experts, a member of the Evidence Code Committee of the Oklahoma Bar Association, a member of the College of the State Bar of Texas, a member of the Board of Legal Advisors and Fellow of the American Guild of Court Videographers, a charter member of the Legal Advisory Board of the American College of Forensic Examiners Institute, a member of The Forensic Commission, and a Fellow of the American College of Forensic Examiners. He has been retained as an expert witness in patent infringement cases, and as a forensic expert in civil and criminal cases in state and federal courts throughout the U.S., as well as offering expert testimony overseas. Foreign clients include those in Canada, Mexico, Australia, the United Kingdom, Singapore and the United Arab Emirates. Past or current clients include Wal-Mart Stores, Inc., United Parcel Service, Georgia-Pacific, LLC and Motorola Corp. He has consulted with or been interviewed by ABC-TV, BBC-TV, FOX-TV, the Associated Press, TMZ, and People Magazine and has served as a consultant to the TV show CSI: Miami. He has given regional, national and international presentations and has authored peer-reviewed publications. Dr. Russell earned a B.A. (marketing and business administration) from the University of Southern Mississippi and earned an MS and Ph.D. (clinical psychology) from the University of Houston. Dr. Russell specializes in the therapeutic use of rhythmic sensory brain stimulation in those with educational and neurological disorders. His fifteen years as a tenured assistant professor at the University of Texas Medical Branch in the Department of Psychiatry and Behavioral Sciences allowed him to pursue his lifelong interest in increasing academic performance in school age children, medical students and medical residents by decreasing their stress and anxiety. He then began an 18 year private clinical psychology practice. During those years, he developed, patented and field-tested innovative and inexpensive neurotherapy technologies whose use has been shown in experimental research studies to result in long-lasting increases in the IQ test scores of attention deficit disordered children. Currently, he is exploring the possibility that IQ test score increases may be possible for all children on a continuum ranging from high functioning normality to children with varying degrees of attention and learning problems. He is a principal in NeuroMedics Technology, Inc. formed to develop and commercialize these technologies. Dr. Shih is the Director of the Center for Cardiac Arrhythmias, in Houston, Texas. He received his bachelors from the Taipei Medical College (University) and obtained his Master of Public Health from the Harvard University School of Public Health. He is board certified in internal medicine, pediatrics, cardiovascular diseases, and clinical cardiac electro-physiology. He was formerly the Director of Cardiac Electrophysiology Research at the University of Texas – Houston Medical School and Director of Cardiac Electrophysiology at the Baylor College of Medicine before establishing his own clinical practice in 2006. Trained in molecular, basic, and clinical cardiac electrophysiology, Dr. Shih has maintained broad interest in applied electrophysiology, including trials of anti-arrhythmic pharmaceuticals, arrhythmia mechanisms, arrhythmia procedure techniques, equipment design, and signal processing, the latter in collaboration with Dr. Michael Brandt. , Dr. Shih continues to participate in clinical trials involving drugs and devices and has filed several patent applications. Serving the Chinese community in Houston, he has delivered numerous educational speeches. He was President of the Chinese American Doctors Association of Houston from 2010 to 2011 and still collaborates with a local media group to provide medical health information to the Chinese community. Michael Watson (Instrumentation, Controls, Communications, and Measurement Specialist) is the founder of Rapid Technologies Intl (RTI) which has been in operation for over 10 years. Based out of Houston, Texas, Mr. Watson and RTI have been providing industrial and commercial entities with solutions both domestically and internationally. Mr. Watson has 30+ years of experience in providing field services to industry. Mr. Watson is a specialist in measurement and control techniques with 20 years of experience in the oil and gas sector and has provided services and solutions for municipal entities as well as the private sector. Mr. Watson has been involved in multiple OEM relationships to develop application specific equipment and/or integrated solutions and has worked in 39 countries, handling projects up to 27M USD. He has taught safety and industrial training courses in multiple countries and in multiple languages. Mr. Watson’s primary focus is in the Energy market, providing a unique opportunity in the various oil & gas sectors where competitive advantage is critical given the current state of the crude oil market. 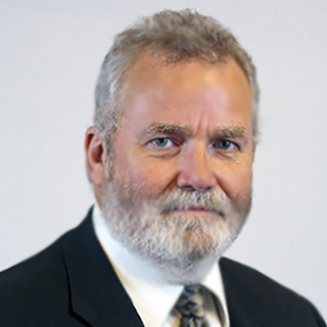 Peter Worman is the General Manager for McDermott Subsea in Houston. McDermott is a global offshore fabrication and construction company for the oil and gas industry. Mr. Worman leads a large team that includes engineering, procurement, construction, and installation (EPCI) of Subsea infrastructure for production of hydrocarbons to processing facilities on the surface of the ocean or back to the beach. Mr. Worman has thirty years of engineering, management, and operational experience in design, fabrication, test, installation, and maintenance of Subsea, industrial, and aeronautical related systems. This includes 16 years of direct oil industry experience and 14 years of U.S. Government service. He has been a Vice President of Engineering for a major oil field products and services company. He has managed a worldwide specialized group of Subsea engineers for Chevron and was the Subsea Project Manager for a Chevron major capital project with a budget of $650 million in Indonesia. He was also the Subsea Controls System Manager & Engineer on a record breaking deepwater development for BP in the Gulf of Mexico. Mr. Worman is a Commercial Pilot and was a Naval Aviator for 10 years flying off Aircraft Carriers and protecting the interests of the USA around the world. Finally, Mr. Worman worked as an engineer for the Central Intelligence Agency during the Cold War. Mr. Van Cleve is the CEO & Cofounder of Theatrics.com a provider of cloud-based platform for aggregating, curating, managing and presenting video, text, photo, and graphic imagery. His responsibilities include corporate oversight, investor relations and communication. Mr. Van Cleve has been working as a communications professional for over 40 years. He began as a surgical photographer for Baylor University College of Medicine in the mid-60s and progressed to a film and television in the early 70s. His experience in multi-media marketing and information dissemination encompasses a variety of production genres from print and broadcast television to cloud-based, crowd-sourced media development. He is an experienced writer, producer, and film maker whose portfolio has predominately focused on corporate training, communications and marketing. However, his broadcast experience includes live sporting events as well as multiple television commercials, and as V.P. / Production for Mars Hill, Mr. Van Cleve oversaw the making of a major Biblical dramatization, “The Hope” (www.thehopeproject.com) which is now in worldwide distribution in over 40 languages. Signal advance technology is unique. There is no other technology quite like ours! “Being one step ahead” – that is what our technology is about. Now imagine the repercussions in the healthcare, industrial and military fields, among others. We strive to deliver a clear message. This website is about converting complex scientific language – that is necessarily behind our signal advance technology – into simple, clear words and concepts without over-simplifying. You can always contact us if you need more science than what you see here! Signal Advance Inc. has been recognized by several prestigious organizations. If you have questions or are interested in working together, send us an inquiry and we will get back to you as soon as we can.